Yesterday I moved to Australia to start a new part of my life. I’ve accepted an exciting role at a digital agency in Sydney and look forward to making this a new home. I feel incredibly lucky and moving back to Australia has been on my mind for awhile now. I’ve spent my first couple days mostly exploring and getting settled. I want to learn the busses and trains quickly since I won’t be driving at all (very different from home where I drive every day). Today it took me almost two hours just to find the bus to the mall. I went to a couple incorrect stops before finding the right one. I’ll be pro in no time, give me a month. Studying abroad definitely helped prepare me for life here in terms of any culture shock or just acceptance of change in general. Little things don’t seem so weird or different, although I still can’t figure out how to order my coffee. Yesterday I got an iced coffee and the guy working thought that was funny. He told me I was the first one all day to order that (because it’s winter). Trust me though…it’s not that cold here. I was prepared for much worse. 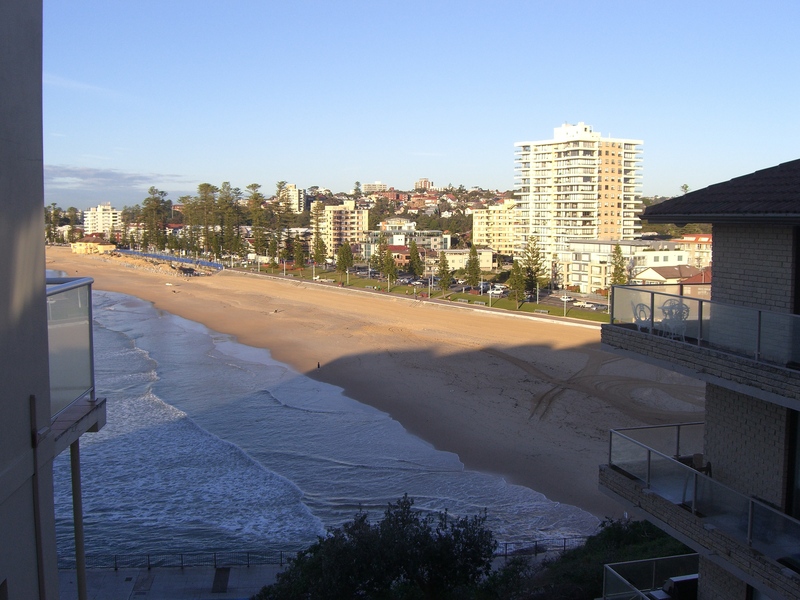 My apartment is in a really nice area called Manly which is just north of Sydney on the coast. It has a little community feel but it’s big enough that there is a lot to do and see. The beach is beautiful but it’s not warm enough to be hanging out there yet. Only the surfers are in the water right now. I can take the ferry (30 minutes) right into downtown Sydney from the Manly wharf. It’s a fun ride and they have free WiFi on the ferry so of course I love that. I’m having lunch with my new coworkers on Friday. I also made plans with a friend for this weekend. I’m trying very hard to be outgoing and social from the start. I want to meet lots of new people and I know that I have to push myself. I wonder if this is where my blog takes a new direction (not that it had any clear direction before). I’d like to think that this is still my “everything” space. Where I can write on any topic that strikes me, but this move and transition will probably be dominating the conversation for awhile. I hope to write often and keep everyone updated. Please feel free to leave comments, ask questions and say ‘hi’ below. All of my family and friends have been super supportive on Twitter and Facebook. I’m trying to keep up with getting back to everyone. I love hearing from you guys. It’s awesome to see your living the dream after following and pursuing your goals. I loved Australia when I visited there, and I couldn’t be more happy for you. I found your blog through Brazen Careerist (though I admit I don’t really log on there much). Welcome to Sydney! Looking forward to reading your views on our lovely city (since I grew up here I have a bit of a love/hate relationship with it). Thank you Phoebe. I’m already realizing how tough it is for me to capture everything I’m experiencing on this blog. Life moves too fast. Congrats on the move Hannah! I loved Manly, make sure you eat some fish and chips on the beach. Taronga Zoo is worth a visit and close to you too. I lived in Darlinghurst, kind of an odd part of the city but good restaurants, if you are looking for a funky shopping afternoon or an interesing night out (the chocolate bar Max Brenner’s is one of my fave’s). Also, make sure you see Bondi Beach and if you travel up the coast, Cairns, the Whitsundays, and Daintree are great fun. Enjoy your time there and make the most of it. Keep in touch with Otterbein! I love your view, what a perk. Grandma would love it (close to glass-picking)! We got your postcard and are happy that you are settling into real life in the work world. It sounds great. Good luck, work hard, have fun and make sure those coffee’s you are buying are in the budget! @Kara – Thank you. I’m really liking Manly so far…I’ll definitely be eating fish and chips on the beach once it warms up a bit. Went to the zoo during my first week when I had some free time. It was very cool but I didn’t get to pet the kangaroos! @Aunt Mary – I think Grandma would have loved it here. Being by the ocean does remind me of her. I like that a lot. Love you. @Gary – Thanks for stopping by. Now I just need to step up my game and start blogging more often. I’m getting there! GOOD LUCK Hannah! I think learning the public transportation from the get-go will help a lot. Every time I move to a new city (where public transportation is even available) I don’t really feel like I live there until I know how to ride the metro or bus. It’ll come in handy, too, when you’ve met some new friends who ask you to come hang out somewhere at the last minute and you can say “yea, I know how to get there” and hop right over there 🙂 Then you have one less excuse keeping you back from being social! I love Sydney in the winter! It reminded me of winter in Los Angeles. Clear, no rain and in the 60’s, which everyone still complains about! 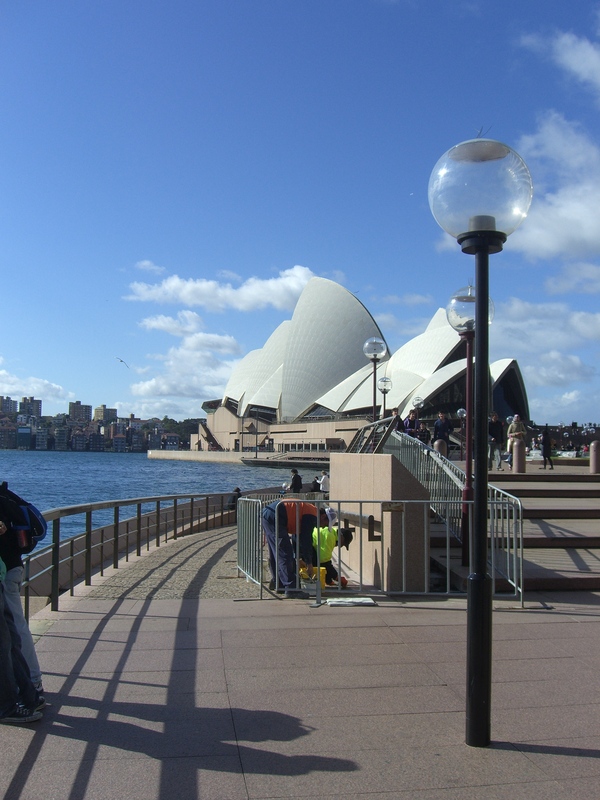 I arrived in Sydney in July of 08 from a very cold and windy Auckland and the change was fantastic! No complaints from me! It’s great to see you EVERY. SINGLE. DAY.